The NIV Bible translation done in a beautiful soft black leather cover with a beautiful color design on the cover. This edition is color coded in ten different colors for the reader and each color is a different topic. As stated in their explanation, each highlighted verse color has been chosen because of its importance to your faith and the impact it can have in your life. God - Gold, Sin/evil - Navy, Jesus - Red, Heaven – Purple, Spiritual growth/living your faith - Green, Prayer and praise - Blue, Cleansed of sin/new life - Orange, Love- Magenta, Animals - Brown and Family - Lime. Each time you have this Bible open, at the bottom of the pages, you have a small color key to help you remember what each color represents. In the front of the Bible a section gives answers to these questions, what is the Bible, who wrote the Bible (include a short bio of some of the writers, like Moses, David, Paul, etc. ), why should you read the Bible and an index of the color coded highlighted scriptures. 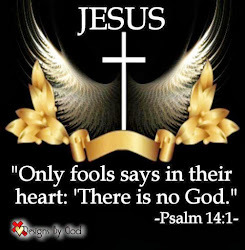 There is a page showing the Books of the Bible listed in their categories as, Books of Law, History, Prophets, Gospels etc. 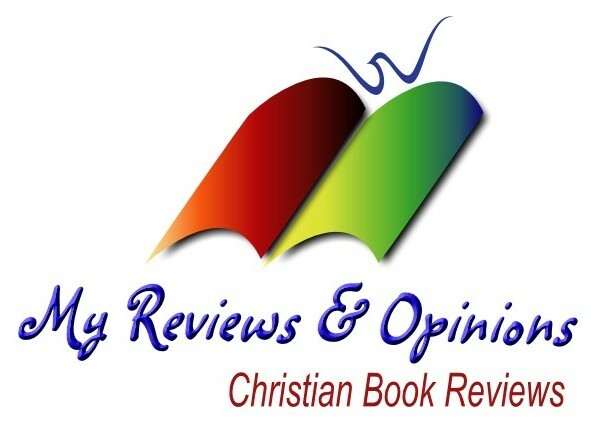 These Bible reading plans are included; 365 days - read through the Bible in a year, 90 days through the gospels, 30 days through Psalms and Proverbs in and 365 Daily topical scriptures readings. At the back of the Bible you get journaling pages to write your favorite verses or other notes. A set of colored maps are also included. 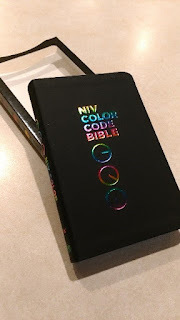 The Color Code Bible is the full NIV edition with a very helpful color coding added for following topics through the Bible and can be used by any age. I would recommend giving copies as gifts and getting one for yourself, I am sure you will enjoy it.